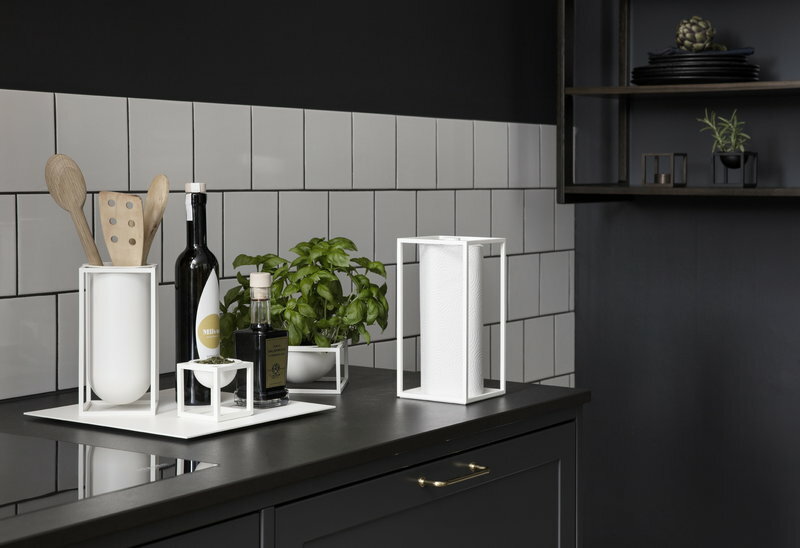 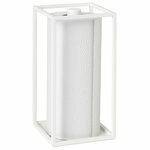 By Lassen’s Kubus Roll'in kitchen paper holder continues the geometrical design of the famous, Bauhaus-inspired Kubus collection. 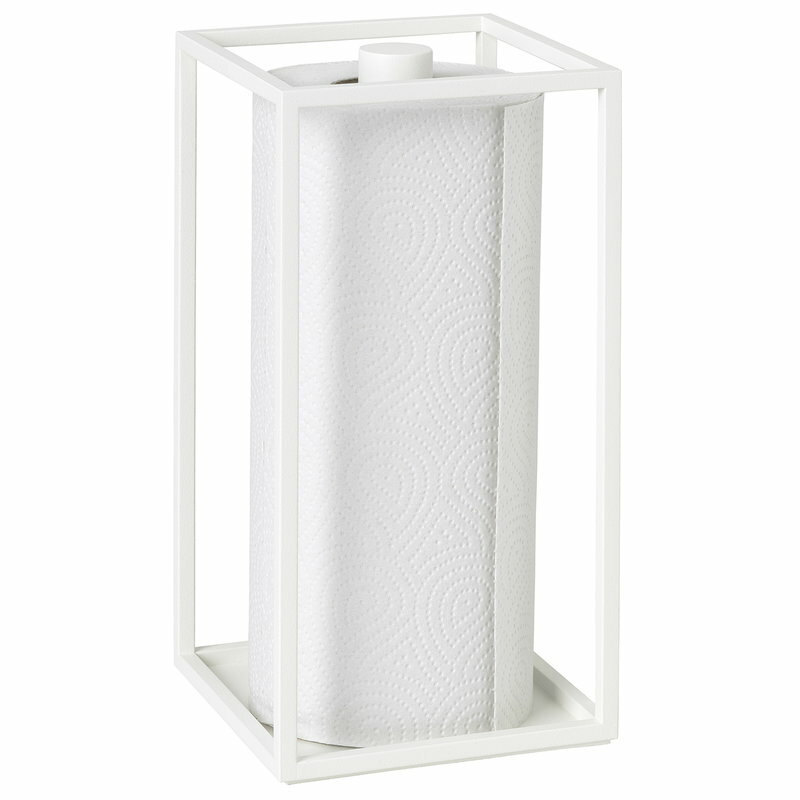 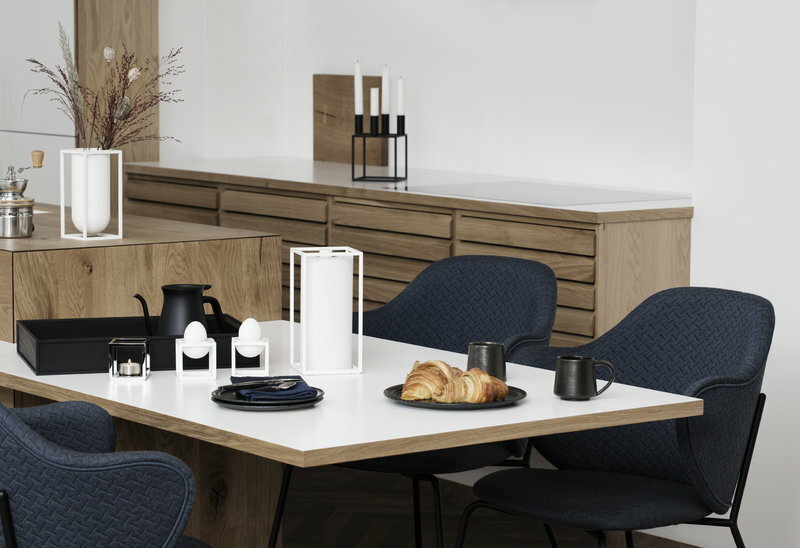 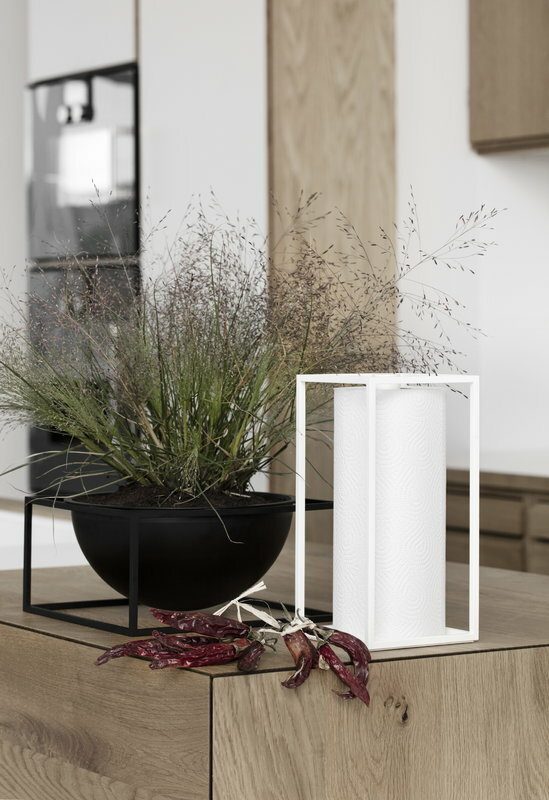 Mogens Lassen’s grandson Søren Lassen designed Roll’in as a birthday gift for his mother – he wanted to create a kitchen roll holder that would suit their family tradition of dining outside. 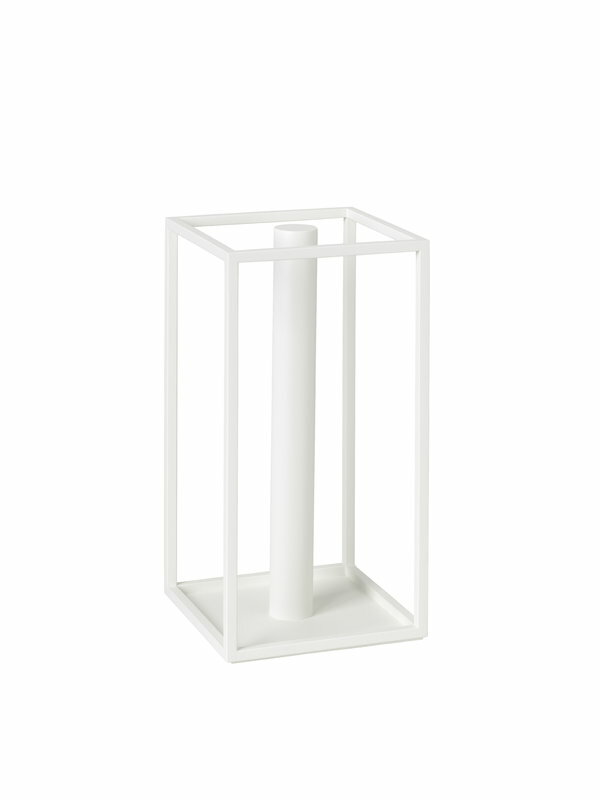 The cubic metal frame of Roll’in is made of lacquered metal.